Svi Myhailiuk has quickly become a Lakers’ fan favorite at NBA Summer League. There’s a meme going around of Svi Mykhailiuk replacing LeBron James in his latest Sports Illustrated cover. Instead of James looking at past Lakers greats, it’s Mykhailiuk in a gold Lakers jersey staring at the basketball legends. “Sviatoslav + L.A.,” the photoshopped cover read with Mykhailiuk’s full first name. All jokes have a grain of truth and the truth is Mykhailiuk can hoop. He certainly doesn’t have James’ game, not many do, but he’s quickly become a Lakers’ fan favorite at Summer League because of his ability to shoot the ball. Mykhailiuk averaged 17.7 points per game and shot a blistering 51 percent from the field in the Lakers’ first six games in Las Vegas. On Tuesday, Myhailiuk was named to the All-NBA Summer League second team. The Lakers’ 2018 second-round pick, 47th overall, had his best performance Monday in a 31-point effort against the Cleveland Cavaliers to guide the team to the Summer League championship game. Mykhailiuk never scored more than 27 points in a game in his four seasons at the University of Kansas. He holds the Jayhawks’ single-season record with 115 3-pointers made last season. The attention hasn’t phased the 6-foot-8-inch wing from Ukraine. He still speaks in cliches and keeps his answers short when NBA and L.A. media surround him during postgame interviews. Mykhailiuk’s fast start earned him a three-year deal from the Lakers with the first year reportedly being fully guaranteed. Not every second-round pick gets that type of reassurance so early. The sharpshooter even has James’ attention. Mykhailiuk drained a 3-pointer a few feet away from the four-time league MVP in the opening minutes of the Lakers’ win over the Pistons on Sunday. James was confident the shot was going in, hollering “bang, bang” before Mykhailiuk released the ball. The grand moment with his new teammate didn’t get much of a reaction from Mykhailiuk. Mykhailiuk won’t boast about his stellar play, but teammate Jeff Ayres did. 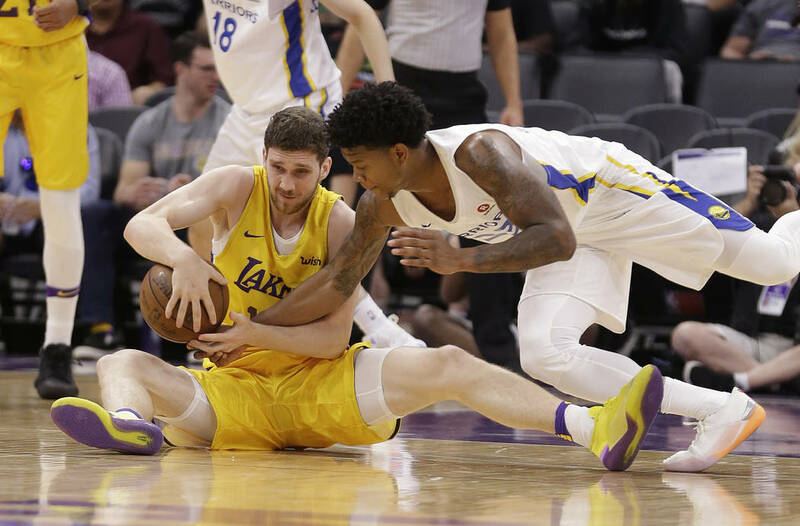 It’s unclear how much playing time Mykhailiuk will get with James and the Lakers during the regular-season. He’ll be behind wing players Brandon Ingram, Kentavious Caldwell-Pope and Lance Stephenson. 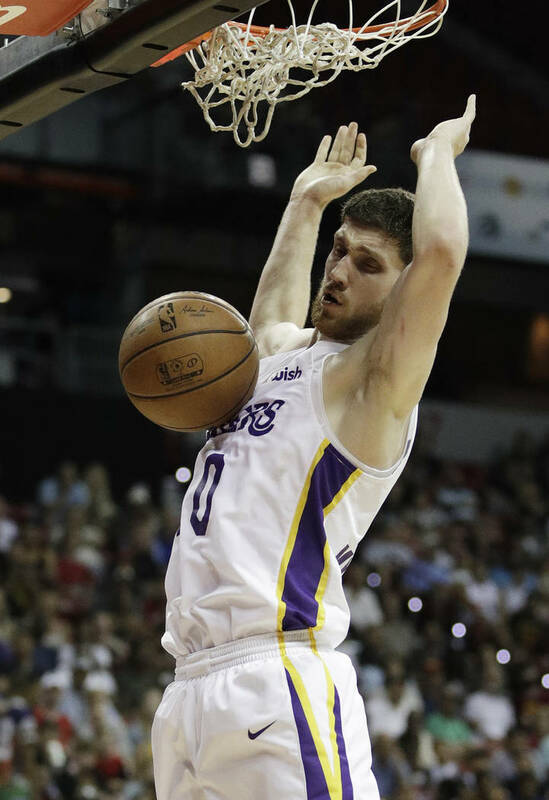 But if Mykhailiuk continues to hit shots at 50 percent, Lakers coach Luke Walton will find minutes for the summer surprise.